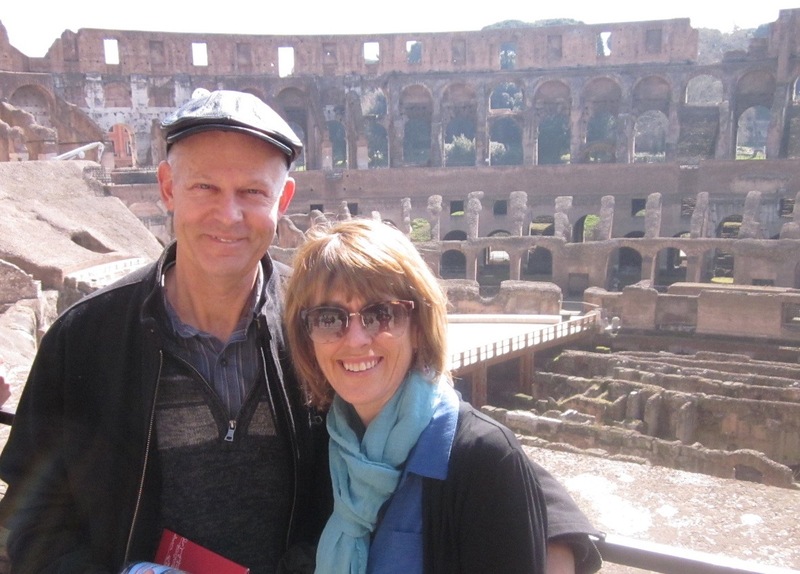 In March of 2012, Mike and Jamie Buettner embarked on an adventure to Italy to celebrate their 30thwedding anniversary! They enjoyed 16 wonderful days exploring the country and taking in everything it has to offer. They went right after the winter and found this to be perfect timing! The temperature was in the 60’s most of the time and the foliage was in early bloom. In addition, they were able to avoid the crowds of tourists by booking their trip in the off season. This allowed them to enjoy the most popular attractions without a lengthy wait. Jamie is completing her Masters Degree in Art History and took this opportunity to study the rich art from the area, which is a topic of her thesis. They went to dozens of museums and churches and Jamie was able to share her thoughts with Mike. Their travels included Venice, Rome and Florence. In Rome they were impressed with the many layers of history. It is saturated with culture that is thousands of years old which can be seen in the architecture, sculptures and ruins. Baroque churches, which are known for their extremely ornate detail, are 500 years old. Considering that the United States is only 236 years old, one can really appreciate the historical significance of Rome. One sculptor that Mike was particularly fond of is Gian Lorenzo Bernini. He is best known for capturing movement and emotion within his stone sculptures. His pieces are quite astonishing. Some significant landmarks in Rome that they saw were The Coliseum and Vatican City. The Saint Peter’s Basilica in Vatican City is enormous and commands the “scope and majesty” that is fitting as the centerpiece of 1 billion Catholics worldwide. In Venice, Mike and Jamie experienced the deep culture of this island area. The 118 islands are connected with bridges and canals where they navigated with boats. They enjoyed the fresh smells of Italian foods pouring out of the local restaurants. Mike’s favorite meal was lasagna cooked in pesto sauce! In Florence, they were greeted with the Tuscan style of brightly painted buildings and décor. The locals maximize every inch of their space creating a feast for the eyes. As an attorney, Mike really enjoyed the attention to detail in the area. Their favorite part of the trip was an exceptionally charming town called Cortona, which was recently featured in the film “Under the Tuscan Sun.” This beautiful, ancient Tuscan village atop a hill is just a short trip from Florence. On the highest ground sits the Basilica of Santa Margherita, a cathedral where the canonized body of Saint Margaret of Cortona rests! Mike and Jamie were truly charmed by the elegance and beauty of Italy, a perfect setting to celebrate 30 years of marriage. They are planning their next adventure to Africa in November. They are excited to see the wildlife!